Sun J Ropes In Dee MC For "Got To Move" | Music Video Coming Soon! Bohemia Claps Back At Skeptics On Deep Jandu's "Good Life"
Two years ago A Khan aka janowar from the crew The Stunerzz pitched an idea about getting together all the artists from The Bangladeshi Hip hop industry interacting with the fans in hope to raise some money and unused clothes for homeless people in Bangladesh to survive and beat the winter. Alotta people showed up in the first year including many fan favorite artists. 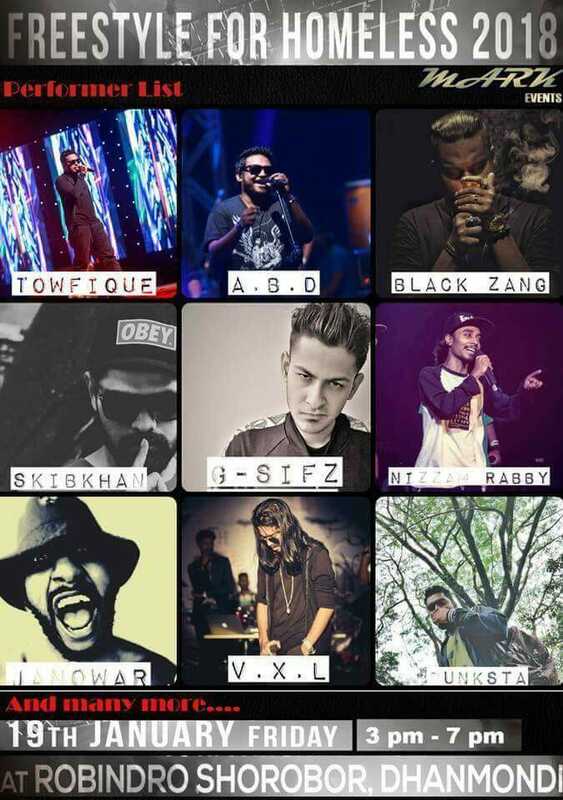 The event got supported by Black Zang, Asif Ifteza, Nizam Rabby, AKhan, Rizwan Tanzim, Royal Bengal Mob and more! The clips of the performances and freestyles of the artists hit the internet and some of them got viral. The next year when A Khan decided to organize the event again to help the homeless winter victims, an event management company called Mark Events took the responsibility to organize it again in a very big way. Fans were excited and just like the hype it impacted online. Massive amount of people showed up to support with donations artists from various distract traveled long long miles just to attend and support the cause. This year the event is rumored to attract even more people than last year along with the artists from various genres and people from media’s to cover the event. This event is all about helping the homeless people around us, so how are we gonna help them? There are only two steps we need to follow. ■ BRING YOUR UNWANTED CLOTHES / BLANKETS WITH YOU. If you are an artist no matter what art form you perform just join the event, bring your instruments and bring your people with you and perform for the homeless people.